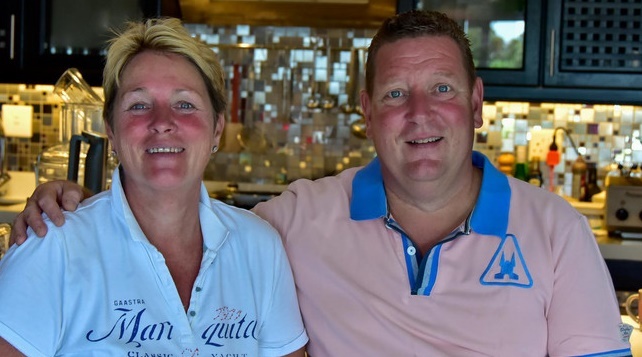 Frans and Lidwien are from Amersfoort, the Netherlands where they owned a restaurant for 25 years so they are passionate about good food and good service. They came to South Africa in 2016 and had the inspired idea to start a boutique Bed and Breakfast. They chose the charming seaside town of Gordon’s Bay because of its relaxed pace and ideal location ( the ocean, whales, dolphins, city of Cape Town, the airport, and the winelands are all nearby) and set their plans in motion. Lidwien loves flowers and brings the garden alive with a variety of blooms, hence the name Bloemenzee “a sea of flowers.” Their 2 dogs Roos and Daisy are also named after flowers and can often be found frolicking in the beautiful garden. Frans is the resident chef and is happiest in the kitchen making delicious signature meals for Bloemenzee’s guests.